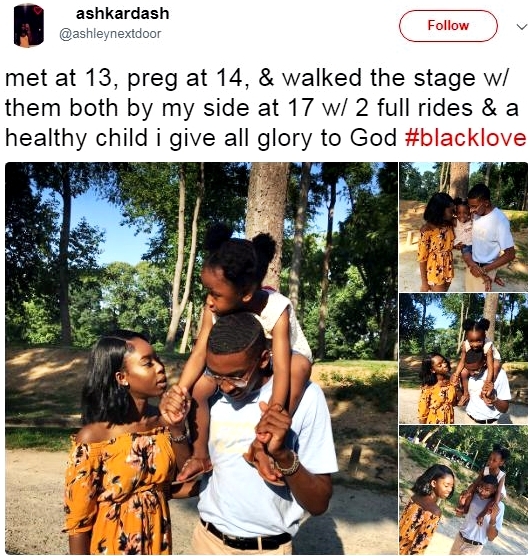 A young lady who revealed that she met her boyfriend at 13 years and got pregnant at 14, has shared photos of her beautiful young family. 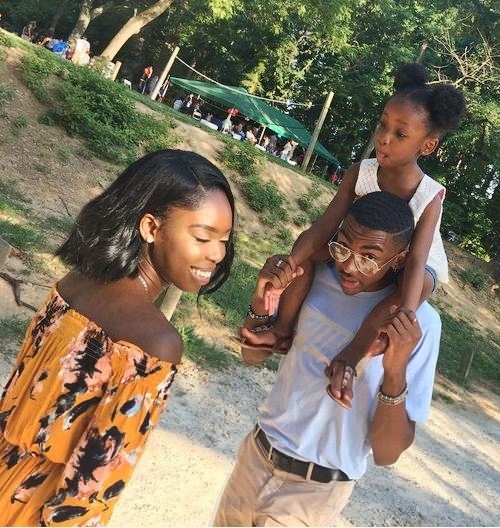 A young black pretty lady identified as Ash Kardash (@ashleynextdoor) has taken to the social networking platform, Twitter to show off some beautiful photos of her very young family. According to her, she met her boyfriend at 13-years-old, got pregnant at 14-years-old, and walked the aisle with her lover at 17-years-old after having her baby.